Here’s a chance to think about “legacy”, creativity, and how the batteries get re-charged. 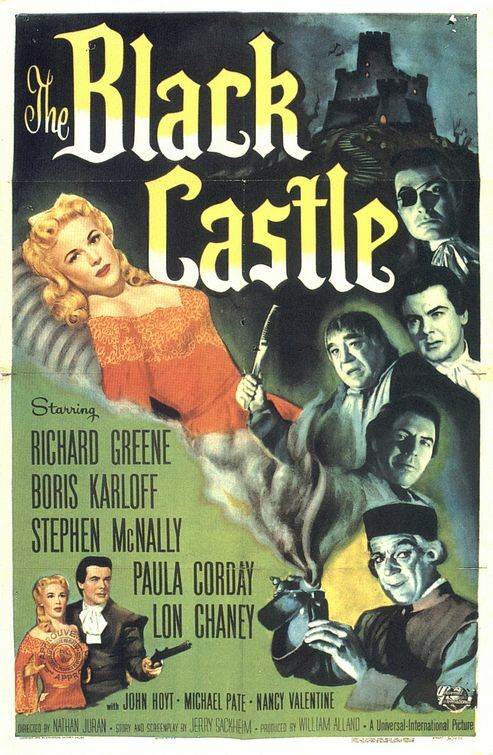 The occasion for talking about these things is a fun little farrago of a movie from 1952 entitled “The Black Castle”, which contains characters with names like ‘Count von Bruno’ and ‘Gargon’ (played by Lon Chaney, Jr.). It’s fantastic, in other words! The point is, however, what it kindled in, well, PZ — thoughts about the future, about “52 Pick Up”, and about the Impersonality of inspiration, which is a relief, by the way. “The Atomic Submarine” (1959) and “Horror Hotel” (1960) also make return appearances. Finally — can you take it? — Podcast 120 is about life and death. Yours and mine, I mean.